This stylish chandelier from the Porta Romana collection is grand in proportion and large in scale. Forged in steel, the round framework features linear struts and cylindrical bodies to provide the perfect canvas for statement lampshades. With a medieval character, the Neptune Chandelier has an old-school elegance that is enhanced by modern finishes. 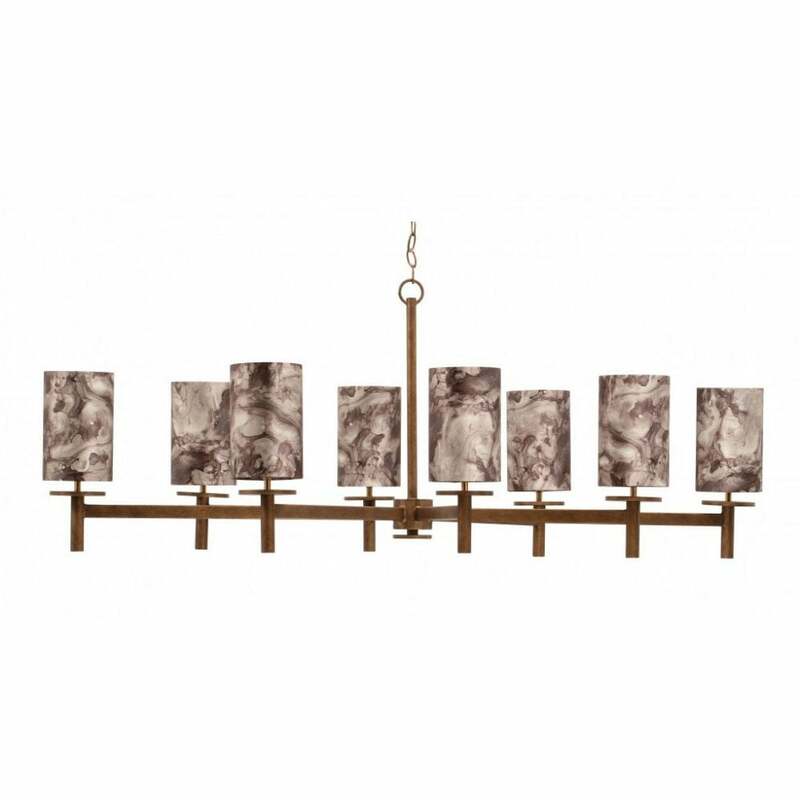 Ideal for a grand entranceway or hotel lobby, Neptune presents a beautiful lighting solution to fill a space with handsome stature. Available in Bronzed, Burnt Silver and French Brass, complement with marble effect shades for a contemporary twist. Get in touch with our team for more inspiration.